Both, the Chennai Super Kings and the Delhi Capitals will be high on confidence after managing to win comfortably in their respective games. The Delhi Capitals is a young and energetic team, having good top order batting talent and a very good pace bowling attack. The Chennai Super Kings, on the other hand, have a very experienced team with a long batting line up and a good spin attack. However, they don’t have a strike fast bowler, with Lungi Ngidi getting injured. Both these teams play on different strengths and hence will be an interesting match to watch. The Chennai Super kings have won 12 games out the 18 played against the Delhi Capitals. Even at the Kotla, the Chennai Super Kings have won 4 games out of the 6 played. 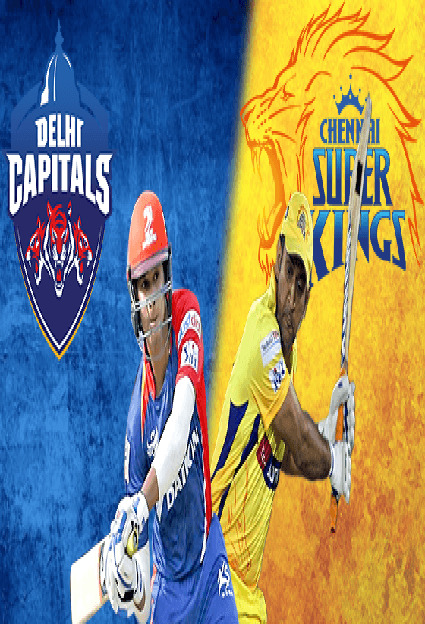 From the past, it is clear that the Chennai Super Kings have had the edge over the Delhi Capitals. Shreyas Iyer, for the Delhi Capitals has been in very good form in the Syed Mushtaq Ali trophy this year, scoring 484 runs at an average of 60.50 and a strike rate of 152.20. He has also managed to score two hundred’s in the tournament. Having missed out in the first game, he will be looking to get a big score at home. MS Dhoni, for the Chennai Super Kings, will be a player to watch out for. He had an outstanding season last year scoring 455 runs at an average of 75.83 and a strike rate of 150.66, and has been in great form for India as well. He will be looking to get amongst the runs and lead the team to an away victory. The Delhi Capitals will have Chris Morris available, but not sure if he will be able to get into the game having no rest. They might also look to change their bowling combination slightly if the pitch is going to assist the spinners. The Chennai Super Kings normally don’t like to change too much in the playing XI. However, they could possibly get Faf Du Plessis or David Willey in depending on the surface. The Delhi pitch has two sides to it. One is a high scoring pitch and the other is a slow and low wicket which will be difficult to play. The recent match in Delhi during the home series against Australia produced a sluggish pitch, but the Delhi Capitals will be hoping for a faster pitch that will suit them better. The Chennai Super Kings will start as favorites considering their record. But the Delhi Capitals will be very confident after their victory against Mumbai Indians and if they get on a role, they have the team to pull off a victory. The Chennai Super Kings will look to pick up early wickets since the Delhi Capitals have a thin batting line up. Against Mumbai, the Delhi Capitals only played 5 full time batsman. The Delhi Capitals will be looking to get early wickets and also preserve some of their strike bowlers for the slog overs which is the area where the Chennai Super Kings are the strongest amongst all IPL teams.